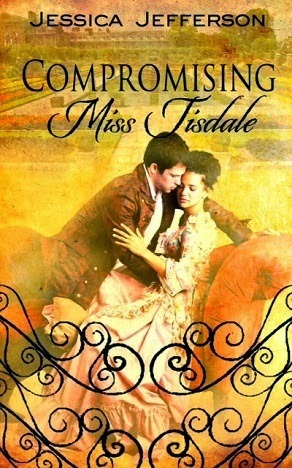 From Goodreads.com: Ambrosia Tisdale is the very picture of propriety and the epitome of what a respectable young lady should be. Haunted by a memory and compelled by her family, she pursues perfection to a fault. The Earl of Bristol, Duncan Maddox, has returned to London after years of familial-imposed exile. As the second son, he has led a life filled with frivolity, leisure, and a healthy dose of debauchery. Now his older brother has died, leaving the family’s flailing legacy in Duncan’s unwilling arms. My Review: I have so many mixed feelings about this novel. To begin with, I often found myself annoyed with the heroine, which is never a good thing. While I admire her "desire to remain proper at all times", I felt that her actions were inconsistent with who the author wanted her to be. Straightaway, we find her kissing Duncan in the library.. without evening knowing his name! Later on in the story, he finds her alone out in her own garden (during a party no less), and not only bares her breasts, but kisses them; once again leaving me shaking my head and wondering who this girl was and why, if she considered herself the epitome of "propriety", would she allow this to happen. The majority of this story is fairly slow going (and somewhat repetitive). Miss Tisdale gives Duncan the cold shoulder. Duncan gets a rise out of her, they find some sort of common ground, Duncan oversteps her "boundaries" (when they show up), and they find themselves at odds, only to repeat the process again. Being that this was a historical romance novel, I knew they would end up together in the end, I just wish there had been more detail about them actually falling in love, and less of them being at odds and suddenly discovering their love for each other. I found that although the last few chapters held some surprises, overall, it felt a bit rushed and thrown together. I wish there had been more depth to the events that took place, and more leading up to the "big reveal" (for lack of a better word).